Meet The Person Behind The Fashion Brand: Interview With O'milua. 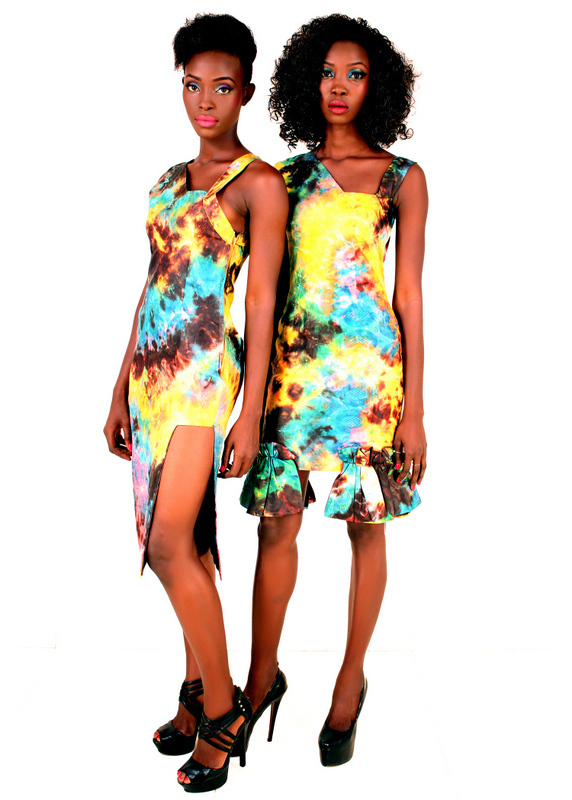 O'milua is a contemporary fashion brand based in Lagos, inspired by African art, culture and History. Their clothing features a lot of ethnical patterns and textiles which is mostly traditional tie-dye and woven fabric made by local artisans. 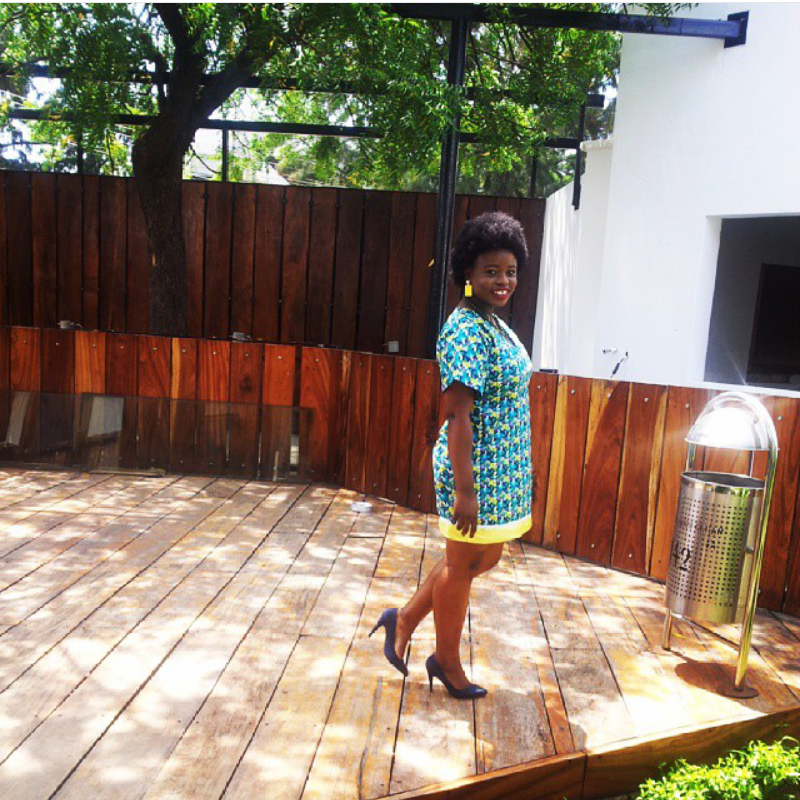 Behind O'milua is Olajumoke Ademilua. 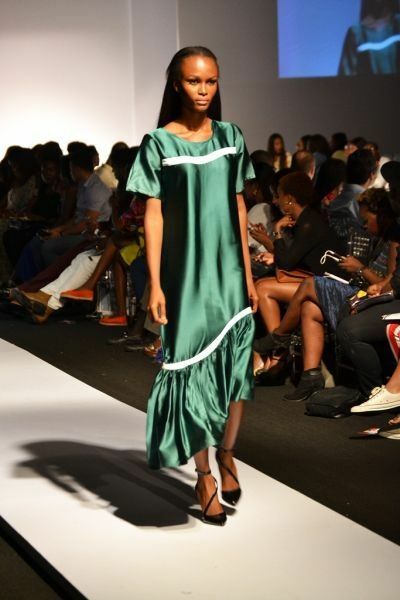 After a first degree in Nigeria, she moved to London where she got a diploma in fashion at College Of Fashion. She also did a short course in 3D fashion at Central Saint Martins. 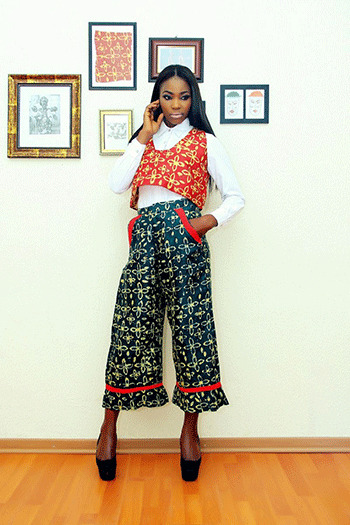 She Interned at DKNY (Donna Kaaran New York) then returned to Lagos to start her clothing line. Let's meet the genius behind this epic fashion brand. 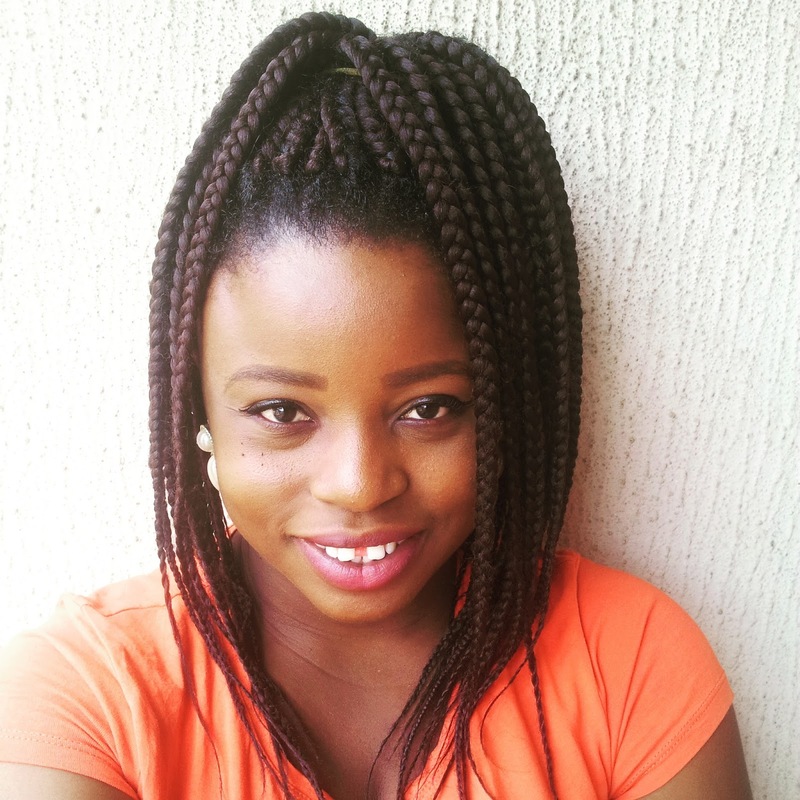 My name is Olajumoke Ademilua. I’m the 4th of six children born. I was born and bred in Lagos. I lived my childhood to teenage days in Festac town. When did you take an interest in Fashion Designing? Since my childhood, I’ve always had interest in the arts and I guess for some reason, fashion had always been in my subconscious. I later took an interest in fashion consciously when I was in my first year in the university. That was in 2006. What was the first clothing article you designed? Actually my first designs were two dresses for my course mate and I. Mine was a long red gown with puff sleeves and my course mate’s was a short floral red and cream gathered dress (lol). We were going to wear it for our college dinner. The dresses sound cute. I always wanted to make mine but wasn't professional enough to dare. I attended Covenant University Ota, studied Industrial Mathematics. That was quite a transition- Math to Fashion! When you decided you wanted to go into fashion designing, what was the plan? Did you get support or criticism and from who? After I decided going into fashion, I immediately knew the next step was to go to a fashion school to further develop myself in this field before setting up my clothing line. Initially, my dad was skeptical because he believed in getting the traditional white collar job but with the support of my mum and siblings, we were able to get him on board. When did you start fashion designing officially and unofficially? I started designing officially in 2012 and unofficially as long as I can remember. Well my day varies but my typical day would start with me in my studio. I check and reply all my business emails, continue research on my upcoming collection, develop some several design ideas for my collection, and finish up with any clients clothing I’m working on for the day. Some days, I go on to meet with any client who wants me to design something for them or pick from my portfolio. I end the day by updating my social media pages for my brand, my blog and my website. Where do you get your inspiration from and how do you apply it to your designs? I’m usually inspired by any culture from any part of the world. But being a Nigerian I deem it necessary to be inspired by my own culture, history, people and heritage. For me, interpreting my heritage through my designs is like making a piece of art. In most cases I create my prints using the traditional tie-dye method but in all, I keep my designs contemporary, simple and fashion forward. I have heard not every designer wear their clothes. Do you/ would you wear the clothes you make? Between 10000 to 25000 Naira. A lot of people think Tailors and Fashion Designers are the same. In your opinion, what's the difference between a tailor and a fashion designer? Well, I think a fashion designer is an artistic individual who understands the art of being innovative and who defines what is new and what is now while a tailor is anyone who can sew. Needless to say, a fashion designer can also be a good tailor but not all tailors are fashion designers. That clears it up. Tried pointing this out to people but they still wouldn't listen. At least now I have it on authority from a designer! What are your greatest challenges? Then and now? To be honest, I would say finances. Most times, I have so many huge and wonderful ideas with limited resources. It’s sad to see that small business don’t get so much support from the government here in this part of the world. It really is sad but hopefully, this will improve with time. Did you ever feel discouraged? What kept you going? Yes I’ve felt discouraged a good number of times especially because running a business in Nigeria can be very tough. I also think I’m my own biggest critic and sometimes it wears me down. What keeps me going is my faith and family. Who is your role model in the fashion world and beyond? I have loads of fashion role models, one of which is Nina Garcia. I think she’s awesome! In general, my role model is my spiritual father Bishop David Oyedepo. What valuable lesson did you take from DKNY? That would be to always present my brand in a professional way . What has been the highlight of your carrier so far? The highlight of my career would be when i was scouted as art of the top 11 fashion designersemerging from Africa by Vogue Italia. Where do you see yourself and O'milua in the next five years? I see O’milua as a brand representing Africa in the global fashion world in the next five years, stocking with various retailers in and outside Africa, and to have established my first store. What's your opinion of the current upcoming designers? 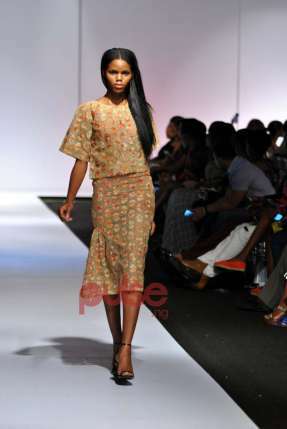 I think a good number of them are doing great and I’m sure they will bring diversity into the Nigerian fashion industry. Summary of my personal style in one word would be eclectic. With your designs, I would think so! Live, love , forgive and never give up. What is your current collection about? 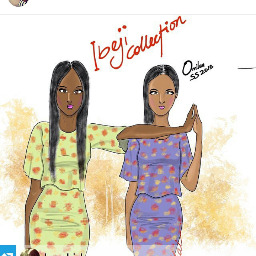 My current collection which is my SS 2015 collection is called “Ibeji”. I wanted to use this collection to showcase my heritage as a Yoruba girl. Ibeji in Yoruba means twins and research shows that the Yoruba people have the highest amount of twin birth in the world. I wanted to use this collection to capture this notion and at the same time showcase my culture. Can I get a quote on your next collection? Well, my next collection would be out in some days. It is my resort 2016 collection (although its coming out late). All I can say is it's about cultural diversities and interconnection. What advice would you give to people who are considering diving into the world of fashion? Understand your brand and what you stand for and always be prepared because opportunities can come your way any moment. 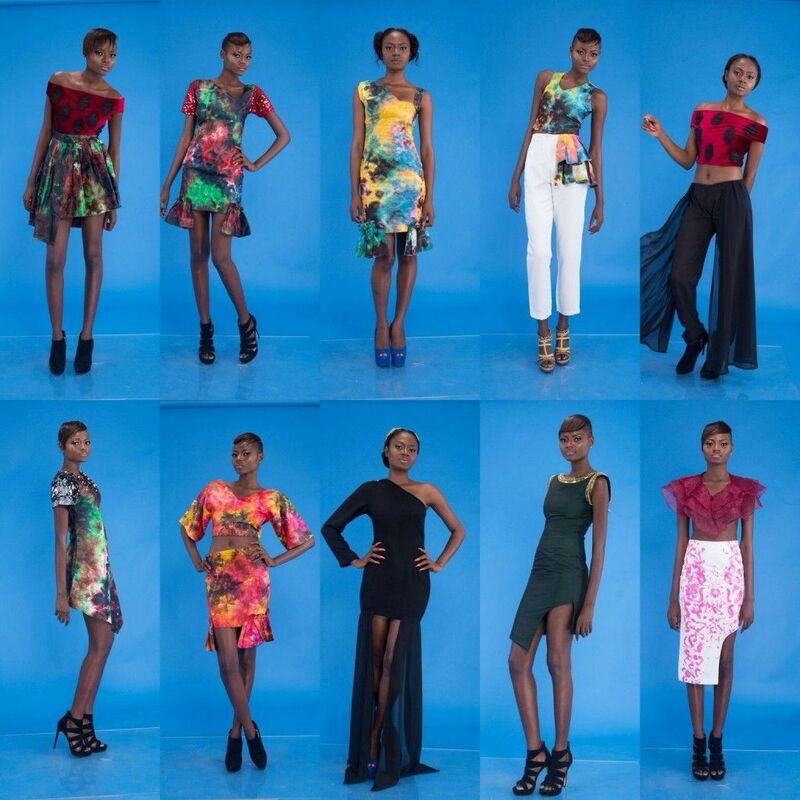 O'milua is Nigerian brand that promotes African art and culture! Do you love her designs? Would you buy these designs? Do you want to be a fashion designer? Was this post helpful? Do you want more posts like this? Don't forget to follow me on Instagram, Bloglovin, Facebook and Google plus. I loved reading this post and learning about a talented designer. Awesome interview. I love her designs.